Christmas Shopping train arrived Rockland. #764 pulled two coach cars and one dining car to Train Station at Rockland from Brunswick. They had round trip Christmas Shopping train from Brunswick. They cancelled round trip from Rockland. Oop! They were going to have two trains there. 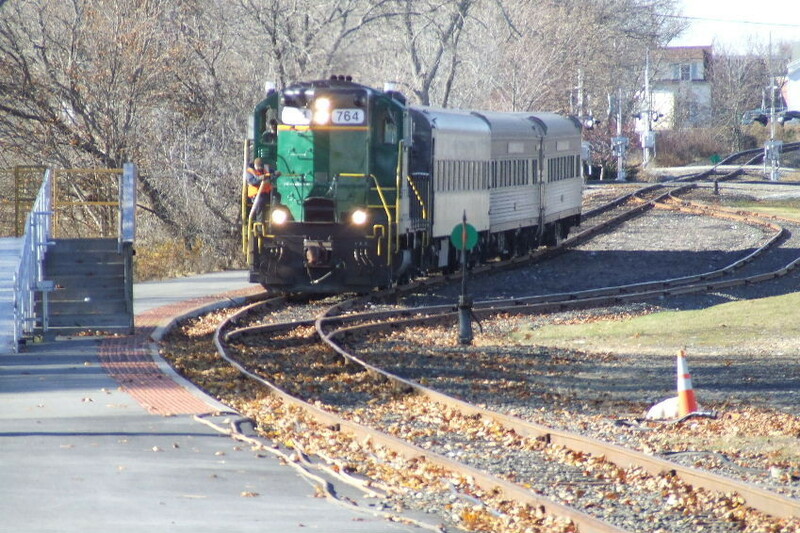 It would be fun to see two trains meet at Wiscasset. Maybe they will do it in future. Conductor, Linwood rode on front engine. Photographed by Dave Olszewski, November 24, 2007. Added to the photo archive by Dave Olszewski, November 25, 2007.